Apollo’s airway management features for nursing include the ability to suction airway secretions, to aspirate and infuse fluids, cricothyrotomy/tracheostomy and bronchial occlusion. Apollo responds to defibrillation, pacing and CPR compressions, which generate palpable pulses, blood pressure waveforms and ECG artifacts. With variable airway resistance, Apollo offers risk-free practice of nasal and endotracheal intubation procedures and cricothyrotomy as well as defibrillation, pacing and CPR. Apollo has bilateral chest movement, and responds to needle thoracentesis and chest tube placement. 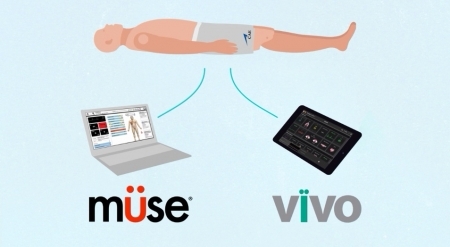 Alternate between the Müse model-driven physiology or the Vïvo platform for full facilitator control over all of Apollo’s patient parameters and responses. 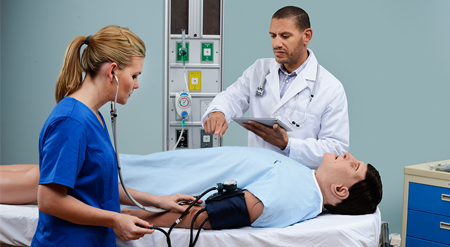 Each Apollo patient simulator will include both platforms, allowing facilitators the flexibility to choose the right platform for their learning environment. 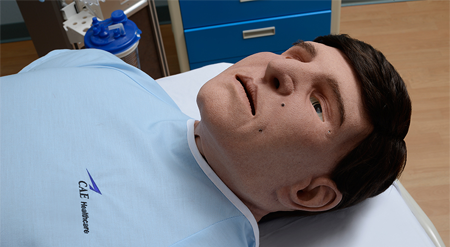 Apollo features four preprogrammed Simulated Clinical Experiences (SCEs) - Anaphylaxis, Heart Failure with Pulmonary Edema, Severe Young Asthmatic & Subdural Hematoma - and integrates with most of CAE Healthcare’s learning modules. Each learning module contains evidence-based training scenarios designed to immerse learners in a clinical environment. The scenarios include learning objectives, facilitator’s notes, equipment and supply list and software application.